The Moab 200 2017 is the third event in the Triple Crown of 200’s along with Tahoe 200 and Bigfoot 200. 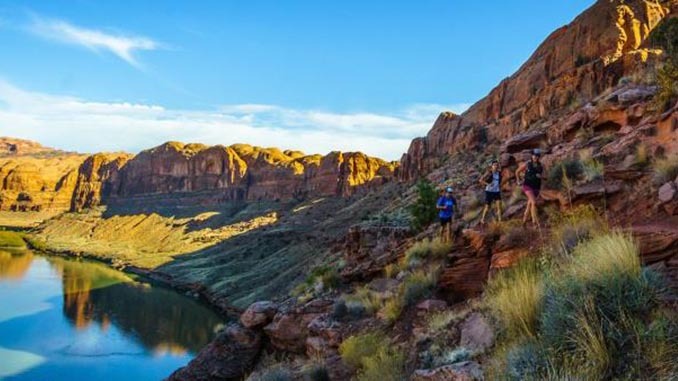 This 238 mile race has a 112 hour cut-off and traverses some of America’s most spectacular terrain starting and finishing in Moab, Utah. The route traverses two mountain ranges and has has 29,467 feet of ascent and 29,467 ft of descent. Moab 200 2017 starts 7 am October 13 at the Kane Springs Campground and finishes 11 pm October 17, 2017.